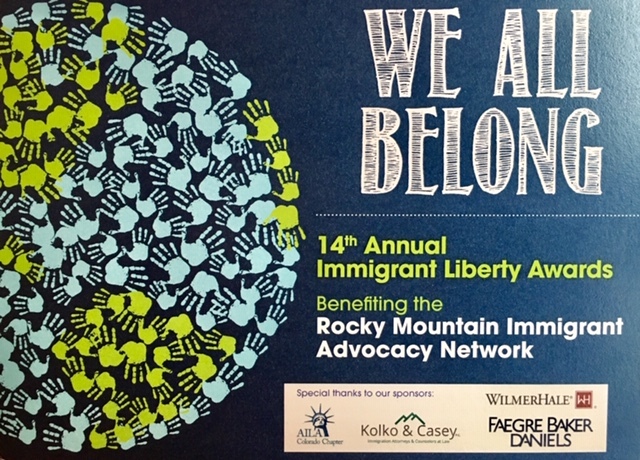 Like the Rocky Mountain Immigrant Advocacy Network (RMIAN), we believe that justice for our immigrant neighbors means justice for all. RMIAN is a nonprofit organization that serves low-income men, women, and children in immigration proceedings; they promote knowledge of legal rights, provide effective representation to ensure due process, work to improve detention conditions, and promote a more humane immigration system, including alternatives to detention. Let’s celebrate this important work! Join our Philanthropiece team in helping RMIAN to honor the achievements of Colorado’s immigrant and refugee communities and their work for human rights. And as a special bonus for us, our Philanthropiece Advisory Board Member, Violeta Chapin, Clinical Professor of Law at the University of Colorado, will serve as the MC for the event. Gracias RMIAN, Violeta, and all involved in immigrant rights in our community for your dedication!